This post is a little bit hard for me to write because we are saying a good bye, of a sort. After lots and lots of soul searching, my Mommeh and Harley and I have decided to we have reached the end of the blog. It was not an easy decision! But it has been almost 7 years and I've said almost everything of interest that I had to say (and even the things that were not so interesting). My Mommeh's Facebook page. Sometimes she shares things about me or the Harleymaniac on there. If you like photography and you're on Flickr, you can follow my Mommeh there. 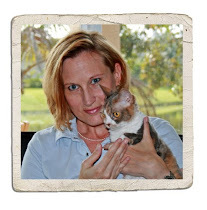 Don't forget I still have a weekly feature every Monday on the PetMeds Pet Talk blog. I have had more fun than I ever thought possible on this blog throughout the years and I am so very grateful for all the wonderful friends I have met here. I will still visit blogs from time to time to see what everyone is up to. And Harley will keep being a maniac. I am going to miss you both but we will still keep up with you on Facebook. Your blog has been an inspiration to so many of us Daisy (and Harley too!). what a shame - I fully understand though. You've been a total inspiration to me and my online activities through the years too! I'll still be an avid reader on facebook! Oh, Daisy and Harley, what a thing to wake up to! We certainly understand, and thanks for all the wonderfully entertaining posts. I'm glad I got to know you guys, and I wish you all the best. Happy, Happy Thanksgiving to you!! This makes us very sad in some ways because you have always been the Gold Standard in blogging for us, a true inspiration! We cannot even begin to imagine the bogging world without you! But we will of course follow your adventures on FaceBook and hope you will indeed post regularly there. I am so sad that you are retiring Daisy! But I totally understand. I am 11 and my human and I have discussed whether I should retire several times, but I still have so much more I want to say. Since I often work to help less fortunate kitties, that keeps me going! Also, my blog is somewhere that I rule for sure, and no whapping from Binga can change that! I will miss visiting you every day, but I'll stop by on the Pet Talk blog and see what you are up to! Oh, Abby. What to say? You've brought so much joy to us over the years, with all the shenanigans of Pixie, Daisy, Harley, Bert and Ernie. It was an oft-posed question at work "Did you see Daisy today?" And the answer was always "Yes, of course!" Yours was always the first blog I clicked on. Do you realize what an achievement that was? Dave and I are especially happy to have met all of you last year. We feel like we met rock stars, which you all were and still are. A truly successful blog comes along only once in a while and you were the "it blog" to many for years. I cannot tell you how sad this makes me, but at the same time I'm grateful for the years of laughs and awwww's and anticipation of Monday Funnies. You nailed everything, Abby. I will follow all of you wherever you are. I understand the need for change and just want you to know I appreciate all the amazing things you've done here and how much it affected all of us readers in our daily lives. Truly remarkable. I'll miss clicking here. I'm going to go off in a corner and cry now. Abby, Daisy and Harley, I have enjoyed you every day you have blogged. You were always so entertaining, funny, kind, sweet and sincere. And imaginative! I'm grateful that through blogging I have come to know so many wonderful people, many who have become "real life" friends! Life is a series of changes. Change is not always easy, but when the time comes, change we must. Life is like a book to be written and to be read; there is always a new chapter ahead but until we finish the old chapter we can not begin the new chapter! I wish you ALL so much happiness! See you on Facebook. Daisy, we are so thankful we had the chance to get to know Harley and Your Mother. We have very fond memories of Pixie, she was such a help to us with Charybdis' heart mummer. We love all of you and will miss your blog. We know we don't comment much but we reads you in our email when you post. We will keep our eyes peeled for you on Facebook. I'm so glad I was able to follow your adventures for so long! It was great to get to know you and Harley! Happy Thanksgiving! I may not comment on every post, but I always make sure to read each one. I will miss you all so. Sadly, I closed my Facebook page awhile back, so I guess I will have to keep up on Pet Meds to get my Daisy and Harley fix. I understand how hard it is to come up with posts nearly every day; what a lot of work and time you've put into this wonderful site. I wish you all well and thank you so much for all the huge smiles you've given me for years and years. Enjoy your retirement - you've more than earned it! We are really going to miss you. It just feels like the end of a dynasty. Sweet Praline started out following you and we picked up where she left off. We hope your non blogging days are packed with love, comfort, and happiness. We'll follow you on FB. OH no, we are so sorry to hear this. You by far have the best blog I have read. But we do understand and sure will look for you on Facebook. This really is very sad. Take care. I will miss you and your dressups and adventures with Harley. Tell your mommeh that she has done a wonderful job. I'll still look for Facebook postings! Much love to you all on Thanksgiving. We are really going to miss your posts! You always brighten our day, and your blog has inspired countless bloggers, including us, to join this wonderful community. We remember the first time you commented on our blog. We were thrilled that such a big online celebrity actually commented on our little bitty blog. Thank you for sharing your adventures with us and setting such a great example of how to have a successful blog. We look forward to keeping up with your adventures on Facebook. Daisy, we are sad to hear this news. Your blog was one of the first ones we starting reading way back when. You have been an inspiration to so many of us other cat bloggers. We'll miss seeing you here...but we'll keep up with you on Facebook. Thank you for the many smiles you've brought. I'll miss my "what's Daisy up to today?" time each morning. Wishing lots of treats, sunbeams, head scratches, and playtime to Abby, Daisy, and Harley. Fiona, Maui, and our human bean in TX. While we can understand, we are also saddened by this. Just because you said goodbye does not mean you can't come back if you feel the need.. or even the desire..
Daisy, Pixie (and her bananers), Harley, Mr. Shrill, the whole crew, thanks to all of you for all you did these past several years. Enjoy your semi-retirement, and we'll see you again down the road. Oh Daisy, Harley and Mommeh, your news makes us so sad, but we certainly understand. We are so thankful for you, and for your friendship, and for all of the happiness you've brought to so many over the last seven years. We are glad to know this is not truly goodbye, and look forward to seeing you on Facebook and PetMeds Pet Talk. Much love and big hugs to you all, sweet friends. Oh Noes!!! I don't do facebook! I will try to visit you, but I don't think they let those of us that refuse to be tracked and followed, see your page. I hope you have a GREAT Thanksgiving, and Thank you for the years of laughter, and fun. Will miss your posts, but understand what you mean. Will see you on the facebookie thing. Love to you all! Daisy, we will miss you and Harley (and your mom) so much. Best of luck to you all. This is one of the first blogs I started to follow so this is bittersweet but understandable. Congratulations on your retirement Daisy and Harley. I'm sorry there won't be as many updates anymore but 7 years is a very long run. I ran out of things to say a couple years ago and yet my blog limps on hoping someone will put it out of its misery. Good luck to Daisy and Harley, have lots of fun doing crazy cat things! Thank you for telling us. This is so much better than disappearing like a lot of our friends and their blogs. We do follow you on Facebook. Happy Thanksgiving! Your blog has always been one of our favorites. I don't get to visit as many blogs or as often as I used to, but you were always one I would try to get to. I certainly understand running out of things to say. But we'll still see you on Facebook and Flickr, so it's not goodbye, just see you elsewhere. Oh Daisy... I have been reading your blog for almost the entire seven years and you have become part of my daily life. I love your precocious innocents and you brother too, I guess ;). 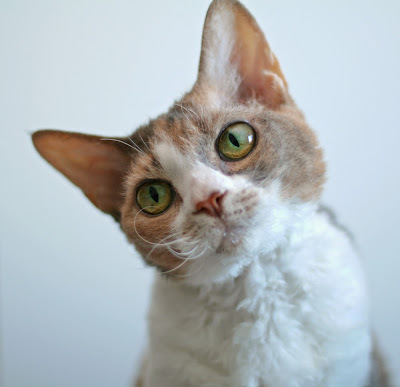 Thank you for seven years of heartfelt laughter, sincere smiles, a 1001 awwwwwsss and for been the sweetest kitty on the web. I will miss you so much! Please share lots of photos on Facebook! Bless your Mom for all her hard work. Happy Thanksgiving. Happy Thanksgiving Daisy, Harley and your mum. We will miss the smiles you bring to us. But we know things change and yes, sometimes you just gotta take advantage of things and retire. Enjoy your retirement, and I sure will keep up with your antics on Facebook! This breaks my heart but I always like to see a great performer go out on top. You are my muse Daisy girl and you will always have my heart. Harley too but don't tell him that. You know he gets a big head. I'm really going to miss the guaranteed chuckle every morning... Congrats on a great blog and enjoy your retirement. Jenna wants to follow you on Facebook. This doesn't sound like a retirement! Your mommeh and you must be busy keeping up with all of that! We will be sure to follow you on Facebook and enjoyed your blog every much. You gave us a lot of laughs over the years but we can understand you wanting to retire. Your blog was a great success! Oh my goodness Daisy! We will be so sad to see you retiring from blogging. But we will watch you on Facebook. Many hugs and purrs and headbutts to you and Harley and your Mommeh. We have really enjoyed reading your blog posts - fashions, comics, etc. It's been fun and we will miss you and Harley. Oh, I hate to hear this. Seems with all the social media going on now, these private blogs are going the way of the rotary phone. Always enjoyed your blogs. It is hard to keep up everything though. So many demands on our time. Glad you'll still be able to be found in other places. Sure will miss this blog though. It's been a go-to for me daily for many, many years. I will miss you and Harley Daisy. You two were among my first blogging friends. You inspired me to write a better blog. You brought me to the Blog Blast for Peace. I thank you for all you have given me - the smiles, the laughs and when you made me think. Give your mommeh a great big hug from me please. This gives us a big sad, but we do understand. We are so very thankful for all the fun and smiles you have brought us thru the years, and for the friendship we have developed. We will definitely keep up with you on Facebook! Oh Daisy. We'll miss seeing you and Harley and Mommeh as often. We understand, though, very much. Gree, Pepi and Boni Maroni send nosekisses. I hope we see you aruond a lot on Facebook. Love and Purrrrrrrrrrrs from all of the Hotties and extra scritches from me. Oh no, this is bad news. I always check in with you, Daisy, each day. I'm not a follower of Facebook, but I'll try to see what you are up to now and then. Thank you for all the enjoyable postings; they have been fun and funny, entertaining and informative. The best of luck to you and Harley and your mum in the future. I'll miss getting your blog everyday in my e-mail, but I'm glad to know I an follow you and Harley and your momma on FaceBook and your Pet Blog. Thanks for bringing us so much joy. Have a Happy Thanksgiving and see you soon. Thank you so much for so much pleasure through the antics of Daisy and Harvey. You cannot know the joy I have had in following all their adventures. Good luck for the future and please keep in touch with all your friends. I shall miss you all in the blogging world, but be sure that I will still LOVE visiting you on FB.I fully understand how hard it is to keep the blog fresh and new. Sending you all a BIG hug and smoochies! We'll miss you Daisy! We haven't commented a lot lately but we always read your posts and you never fail to make us smile! We'll keep up with you on FB though! Happy Thanksgiving to you, Harley and your mommeh! Our comment is gone! We said we would miss you but totally understand! We are glad we will still see you on Facebook. What a marvelous run you have had here! Oh no! We are quite sad to hear this. We visited every day, even though we usually didn't comment. We wish you and your family the very best. This does not make for a happy Thanksgiving post. 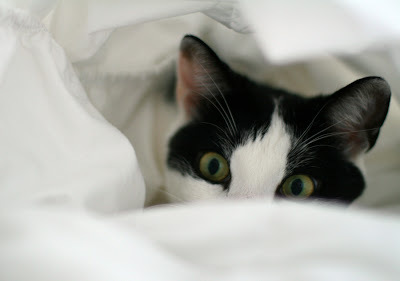 Yours was the first cat blog I found and I start each day with you. I don't have Facebook so I wont be able to keep up. Maybe you could write once a week? Oh Daisy, my heart is broken. I respect your decision entirely, I am just spoiled being able to drop in and love your blog. Marjorie and the Fur Kids. Well, I'm just going to say it: I am sad. But also very thankful (fitting, on this day) for all the joy and laughter you've brought me. Thank you, Abby, Daisy, Harley, Pixie, Bert, and Ernie, for sharing your lives with us -- and continuing to do so on Facebook and other places. We love you so much and understand your decision. LOVE LOVE LOVE!!! Daisy we are sorry you are closing your blog but we will keep up with you on FB. Gonna miss you! I would share your blog with my 2 grand children and they loved seeing the funny cats!! Bless you! Oh nose Daisy! We are so sorry you are quitting blogging but we understand. We love you, Harley and your adventures. You are the bright spot in our mornings. We never miss a post. Who will I get my fashion tips from? We are sads but will follow you on FB. We have to keep tabs on the maniac. I wish you all the very best! I have loved waking up and finding a new update from Daisy, and Harley too! I have been a reader for years and love you all very much! Happy Thanksgiving to you, Harley & your Mommeh. We are thankful today for many things and one of those is your wonderful blog!We loved visiting you and seeing your cute little Devon face! You never failed to put a smile on Mom's face too...especially on days when she needed to smile, you were there. We will transfer to your FB blogs but those are under our moms name. Look for Lynne Ralston Greenwood and friend us if you'd like. Love and Best Fishes for a wonderful retirement!!! We'z gonna miss da blog, ours haf been negleterated 'cuz mommy spends way to much time of twitter and facebook...we don't haf our own facebook because mommy is to lazy to give us one but we'll see you from her account when we throw her out and take over hers. I will miss you Daisy but understand that blogging takes so much time. Thank you for sharing your adventures with us over the years. We have enjoyed them immensely. Oh Daisy!! Allie is devastated (to be truthful, so are we, but we completely understand). We believe there is a season for everything, yet we will miss you terribly. We already follow you on facebook, and we will stop in and say hello on Mondays!! Purrs to you and Harleymaniac and your mom from all of us!! 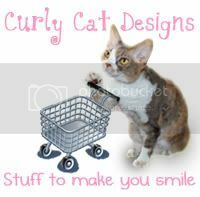 Daisy The Curly Cat blog is an icon in the blogosphere. That's the way it's always been. That's the way it will always be. So sayeth Mimi Queen of Bloggingham! Good luck to you in your future endeavors and enjoy the retirement. Me and my mom-person will miss your bloggie a lot !! Truly the end of an era! We will miss you but certainly understand. My mom has been struggling to keep up with my need to blog...purrrr...and visit....purrrr. We will be following you on FB my furriend! Abby, Daisy and Harley. I am so sorry to see you retire, but I totally understand. Thanks for the years of joy you have brought to my mommy and me. We'll follow you on Facebook. Happy Thanksgiving! and Happy Hanukkah! We saw this early this morning and couldn't comment because we were so sad. You were one of the first cat blogs we followed. We can't imagine not seeing your Monday funnies and Harley's silly comments and, of course, your wonderful modeling. We already follow you on FB and are friends with your Mom. We love you! Sometimes a change of venue is just what Dr. Creativity ordered. We'll see you on FB, and of course, in the funny papers! We have enjoyed your blog SO much, Daisy--in time maybe you should consider a book of the best of your posts. The fashion world could only benefit! I feel like crying! Oh, at least we can still be in touch. I hope you will leave the blog up so we may revisit the posts and photographs. You are are so incredibly special and talented. Harley, you take care of Mommeh and Little Daisy. We have to admit that we did shed tears over this news but we respect your decision for sure. Seven years is such a commitment and accomplishment so we wish you and Harley and Mommeh all the very best and Daisy we understand your retirement. We want you to know that even if we did not leave a comment we read your blog daily for the past three years and you are our very favorite blog. You always brightened our days with your modeling, Harleymaniac's antics and your Mommeh's cleverness. Thank you for lifting our spirits for all that time. We'll miss you! We respect your decision and will keep following you on facebook. 9 is not so very old, you're still a young girl! Oh Dear Daisy! Coco says you are her role model and you gave her the impetus to learn more about fashion and modeling! Your impressive portfolio will be a continued inspiration to all of us fashioncats! We will make sure we follow you on all the places you frequent, cuz we want to keep up with you and Harley and your mommy, too! Oh noes! This is a little bit sad but if you feel it is better, then you should follow your heart. We will miss you very much, Daisy! We are very thankful to have been able to follow you for a couple of years. I haz sads reading this :( I've read you for years and I'm going to miss it so much :( not the post I expected, that's for certain,especially on a holiday. Good luck and enjoy your retirement, I don't use Facebook or social media, so I'll have to see if I can read without that. You will be very missed. We are going to miss our favorite Curly Kitty and Crazy Harley. We made Mommy double check to make sure were Friends on Facebook - we are, but not your Mom's Facebook so we sent a friend request. We will miss you & Harley so very much. You've given us so much joy, inspiration and blogging camaraderie these many years. We understand though and wish you all the best in your retirement. We'll definitely see you on Facebook! 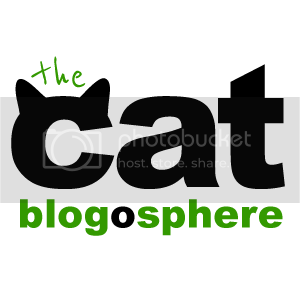 We're finding that's a very fun place to catch up with many of our blogging kitty friends. Daisy you will be missed. Miss D and H, we will miss you lots. We have loved your adventures on blogland and every day you have made us smile. We don't do facebook, so we will miss you lots. We will miss visiting you and Harley Daisy - we always left with a smile. Take care and look after your Mom. Oh, Daisy, we will miss you and Harley and your Mommeh so much. Our Mamacat read your blog first thing every morning for years. We lost our dad a couple of weeks ago and, no matter how sad she was, Mamacat always knew you and Harley would give her a much needed smile. You are such a blessing. We will miss you so much! We will miss reading about Daisy and Harley's adventures. Have a wonderful life and keep doing what you do best. Keeping each other entertained. We will certainly miss you! You're the first thing I go to for morning smiles. We will certainly miss you and Harley! Your blog has always been the first thing I read for smiles in the morning. I will still check in with PetMeds (we don't do FaceBook) to read the articles. Best of luck, hugs and purrs from our house to yours! I totally understand-- take some time for yourselves! Thank you for all the fun, laughs, some tears, and beautiful photos! Oh Daisy! We are so sad to hear this news. You have always been the benchmark for all kitteh blogs. (In our rather decided opinion.) You have started our Mondays with a laugh and never failed to amaze us with your beilliant content. I can't tell you how much you will be missed. Thank you for all you have done to make our lives a little brighter, and our hearts a lot lighter. You will always be the best. We are sad to read this but we understand. We will miss your blog but we'll figure out a way to keep up with you all. Enjoy your retirement! !